You’ll surly get surprised from the amount of attractions & landmarks that you’ll get the chance to visit while spending your vacation in Egypt including some memorable tombs, some fascinating temples, breathtaking monuments and much more than this & all of this will be while boarding a floating hotel that offers the most desirable facilities & services that you may need. Your pick up will be your hotel in Luxor and your drop off will be your hotel in Aswan. 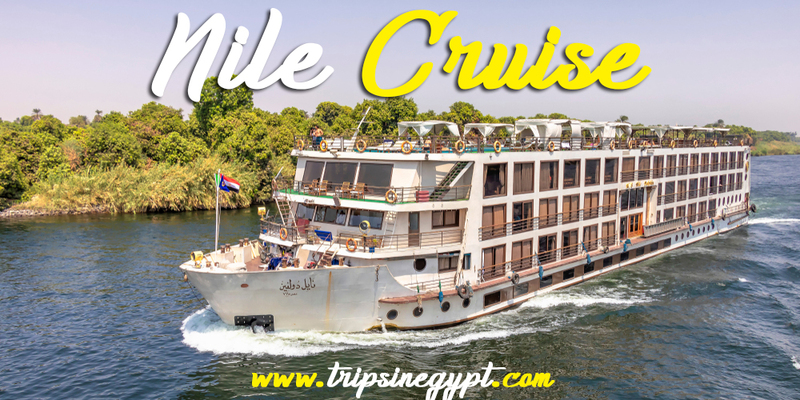 Such Nile cruises are available only on Saturdays, Thursdays, and Mondays. 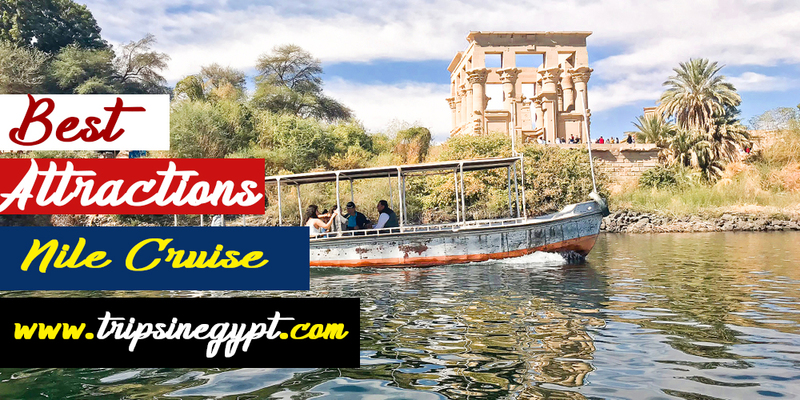 You’ll be able while boarding such Nile cruises to visit the East & west banks of Luxor and their spectacular attractions in addition to sailing to Edfu then Kom Ombo, and finally sailing to Aswan to witness its true adorable highlights. We provides 5 days Nile cruise from Luxor to Aswan, don’t miss the chance and check it now. Through 4 days Nile cruise from Aswan to Luxor, your pickup will be your hotel in Aswan and your drop-off will be your hotel in Luxor. 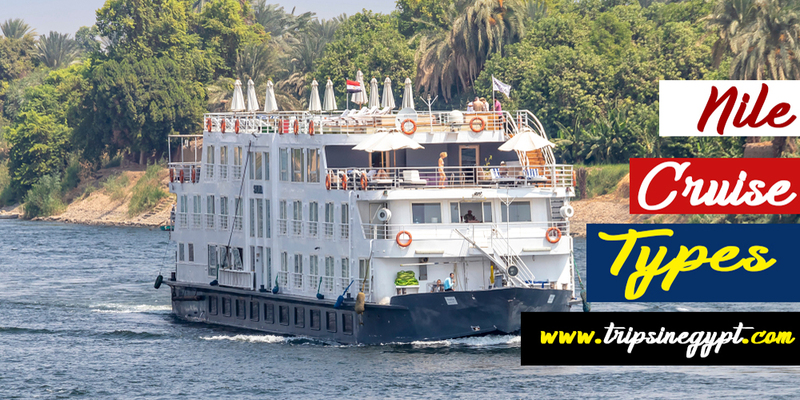 While booking such Nile Cruises, you’ll visit Aswan attractions, sail to Kom Ombo then Edfu, and finally sail to Luxor to visit its major landmarks. These Nile Cruises are available on Mondays, Wednesdays, and Fridays. If you want to try the best Nile cruises packages, you should know that you can customize tours to other destinations in addition to Luxor & Aswan. Among these destinations, you can head to Cairo to visit its attractions and you can also visit the best of Alexandria including Pompey’s Pillar, the Catacombs, Alexandria Library, and with no doubt Qaitbay Citadel to learn all about the ancient & the modern history of that city. That is not all as you can also enjoy some unforgettable days in Egypt’s coastal cities just like Hurghada, Sharm El Sheikh, and Marsa Alam. Choose among our Egypt tours packages to best the best of Egypt while boarding one of our 5* Nile Cruises or we offer you the ability to customize your own itinerary according to the places you want to visit as a solo traveler or in a group of your own. The best thing about Egypt Nile cruises is that they contain on board the best things that you may need and you won’t have a chance to carry with you. If you booked a luxury Nile Cruise, it will have the facilities of a normal 5* Hotel including an amazing swimming pool, a totally relaxing sun deck and in addition to this, you will have your own en-suite, A.C cabins and it will be great to book your own cabin on the upper deck. You will find all of the needed facilities on the board starting from restaurants, sun deck, ships, and a lot of interesting things that will make your accommodation a truly one of its kind. Most of the cabins are equipped with twin bedded cabins with their own private facilities like Private bath with bathtub, hairdryer, Large panoramic opening windows, LED TV within house music and video channels, and a Safe box in each cabin. Surprisingly that is not all as there are many other interesting staff of the board of a Nile cruise including internal telephone, a fridge, Telephone system with international calls, Mini Bar & room service, Doctor on calls on board, Gymnasium, Laundry service & housekeeping. If you are searching for the best place to relax on comfortable sofas, the lounge bar will be the best choice for you. You can enjoy there with a cocktail before dinner and spend a magical night full of entertainment in the evening. The Plunge pool on the sundeck of the Nile Cruise has exceptional beds & towels and there are some chairs & tables in a shaded area so that you can relax at the most. That is not all as there is also a shop on the board of Nile Cruises in Egypt where you will have the ability to buy some essentials & souvenirs. Luxor is known with its true masterpieces monuments that can be counted to be more than one-third of the world’s monuments and of course this is enough to let you imagine the number of unbelievable tourist sites that you can witness while heading to such a city. You can head to the east bank of Luxor where you will visit some remarkable temples which are called “Karnak & Luxor temples”. They were built by a lot of pharaohs and they witness a lot of changes to reach their current construction. Then, you’ll need to be transferred to the West Bank, which will amaze you with its tiptop landmarks including the majestic Hatshepsut temple of the Queen who ruled Egypt for a period more than any other Queen, and of course you’ll get the need to visit the last resting place of Egypt’s pharaohs and it is located in Valley of the Kings, the site where you’ll find tombs of Tutankhamun, Ramesses II, Seti I, and many other rulers whose tombs narrate the majority of their achievements through the inscriptions above them. You will also have the ability to visit Colossi of Memnon, the last lasting pieces of the mortuary temple of Amenhotep III, and don’t forget to let your tour guide tell you about what happened to the temple of Amenhotep. And last but not least, you’ll also head to Abydos & Dandara temples, where you’ll act like a true adventurer, trying to discover all about the secrets of pharaohs. The city where everything is unique and impressive, whether its Nubians, its attractions, its adorable customs, and much more. While being in Aswan, you can join your private tour guide who will take you to its most attractive temple “Philae Temple” that was once dedicated to Isis “The Ancient Deity of Love” and know all the mysteries that revolve around such a magnificent religious place. And no need to mention “Aswan High Dam”, which is considered one of the most important Egyptian achievements in Aswan that helped in securing such a protected environment for the Egyptians and saving a lot of the pharaonic achievements from floods. And you can also visit the memorable Unfinished obelisk that was intended to be one of the largest Obelisks to be ever built by the Egyptian Pharaohs and to be more particular by Queen Hatshepsut. Last but not least, there is no visit to Aswan that can be completed without heading to the biggest and most exquisite temples of Ramesses II & his wife Nefertari in Abu Simbel. Abu Simbel temples are two fascinating temples that have been built to commemorate the pharaoh with his victories & his love to his beloved wife. Finally, “Trips in Egypt” offer stunning tours to Egypt to open the past gates and discover the historical of ancient Pharaohs, So if you find yourself need to book a trip to Egypt, don’t hesitate and contact wit our tour operators to get the best itinerary to Egypt with the best services and affordable prices.